Two of our apprentices have graduated from the Specsavers Apprenticeship scheme. Lauren Willis and Rebecca Danzey, both aged 19, graduated from the scheme in March. 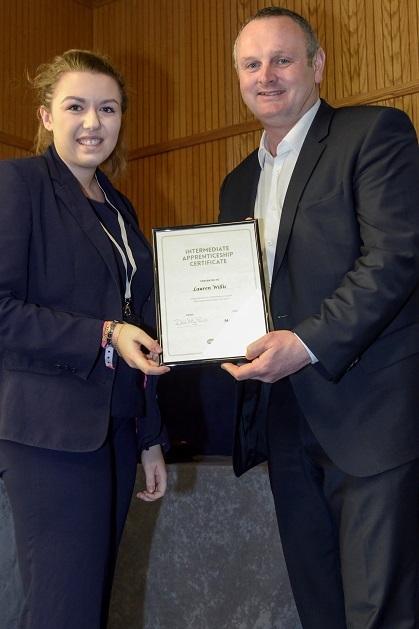 Their certificates were presented to them by Paul Marshall, joint MD for UK and Ireland at the recent Specsavers manager’s seminar at the ICC in Birmingham. Their apprenticeships lasted for one year and they each worked in a variety of roles, being fully trained in all areas of the store including contact lenses, bookings and collections. Both of the graduates have since been taken on at the Skegness store. Lauren is an optical assistant and Rebecca is an office administrator.